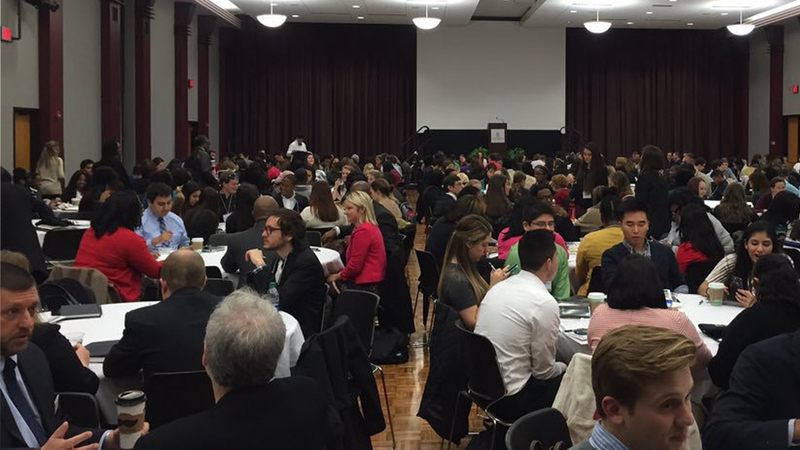 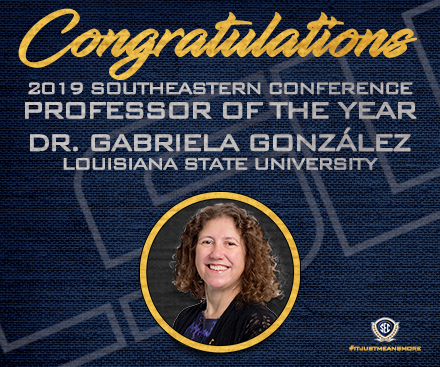 2016 SEC Academic Collaboration Award event attendees participated in South Carolina’s 30th Student Leadership and Diversity Conference. 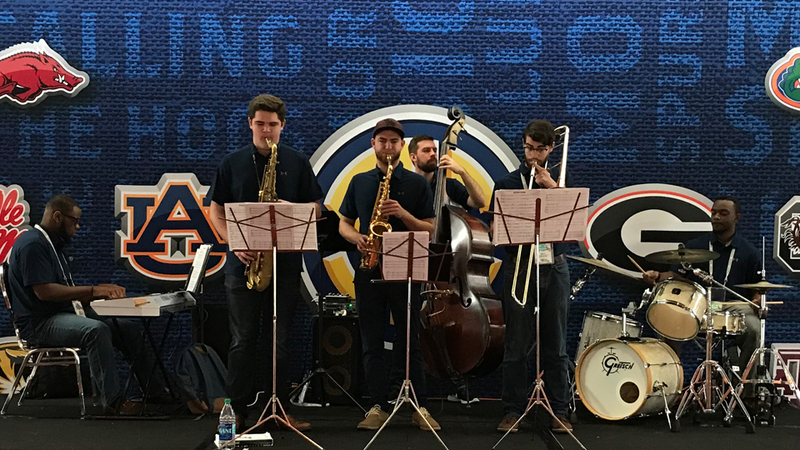 The 2017 SEC Student Music Ensemble performs at the SEC Pregame Hospitality Party prior to the SEC Football Championship. 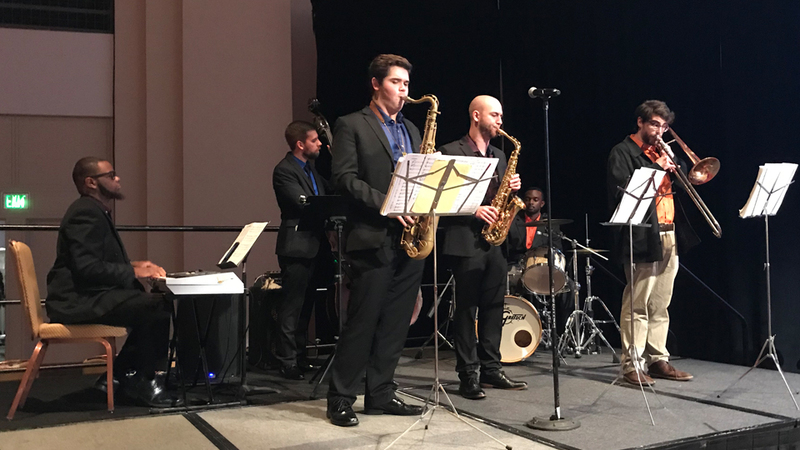 The 2017 SEC Student Music Ensemble performs during the annual SEC Legends Dinner in Atlanta. 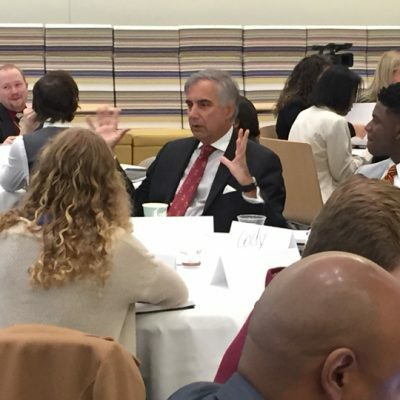 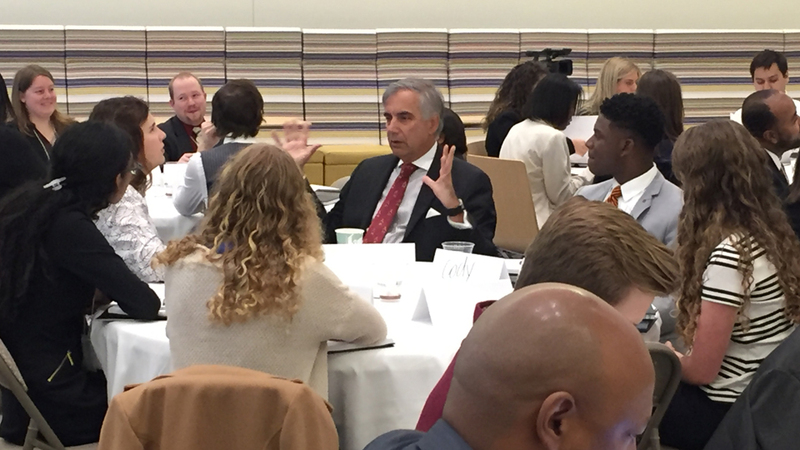 University of South Carolina President Dr. Harris Pastides talks with 2016 SEC Academic Collaboration Award event student attendees. 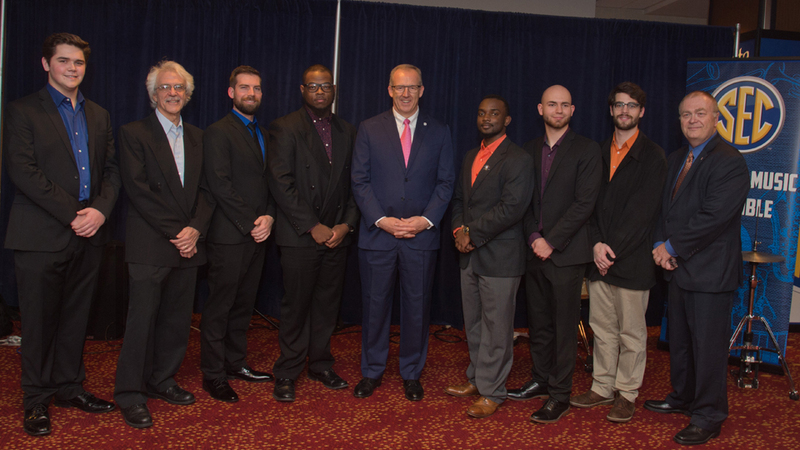 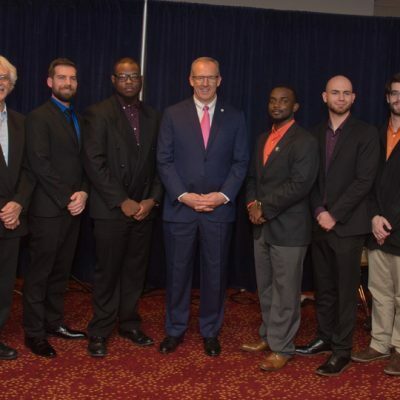 (Left to right) Kirby Davis, David D'Angelo, Erik Alvar, Lazarrus Miller, SEC Commissioner Greg Sankey, Xavier Scaife, Mason Soudelier, Ben Keith, and Michael Pendowski pose for a picture before the 2017 SEC Student Music Ensemble's performance at the annual SEC Legends Dinner. 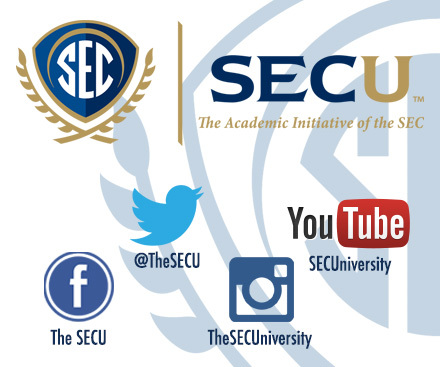 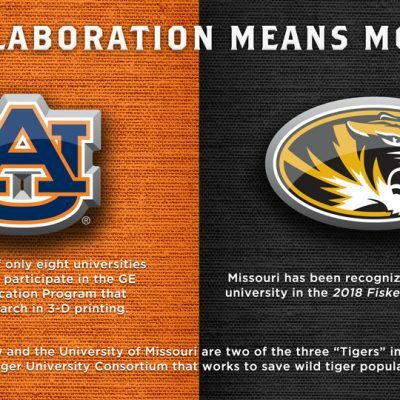 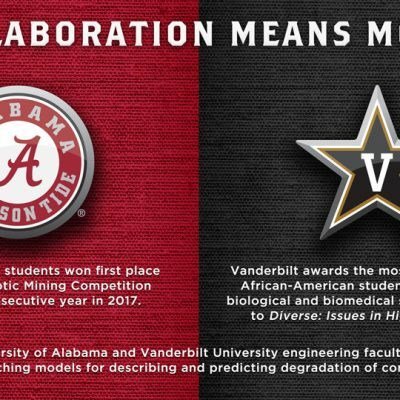 The SEC provides support to faculty, staff and students at its 14 member universities as a mechanism to share best practices and ideas. 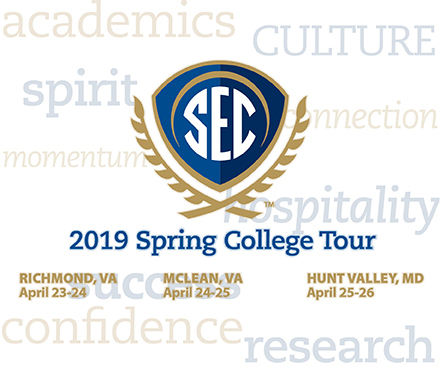 Regular meetings and workshops are held on university campuses, the SEC office or other similar locations. 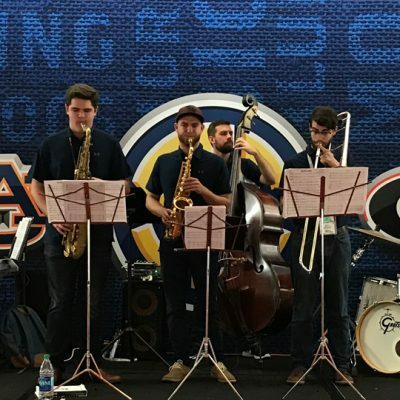 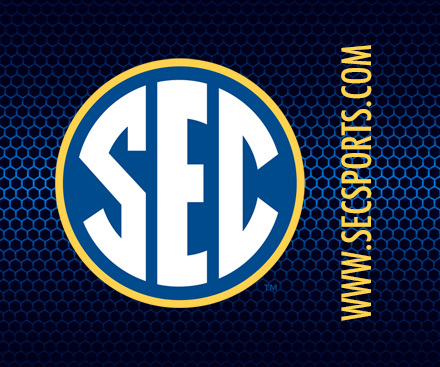 SEC student musicians are selected by their universities to perform jazz pieces during several activities associated with the SEC Football Championship game. 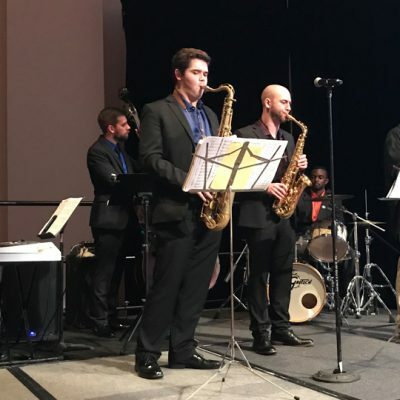 The ensemble, which played jazz music throughout the weekend, was comprised of six SEC student musicians who performed at the SEC Legends Dinner on Friday night and SEC Pregame Hospitality Party on Saturday.